If you live, work, go to school, or simply enjoy Fullerton, please consider taking the City of Fullerton’s stakeholder survey. This survey will allow respondents to create a Mission and Vision Statement for the City, comment on the current Priority Policy Statements and prioritize use of city resources for various city services and programs. It closes on April 17th. Support Friends of Harbors, Beaches and Parks' conservation work. 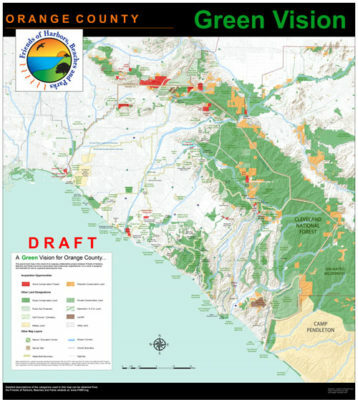 Friends of Harbors, Beaches and Parks (FHBP) is well known for its county-wide greenprint called the Green Vision Map.